“The Long Board” is a large rustic serving board with a locally hand-forged wrought iron handle fixed to each end for carrying. Each board is crafted in our West Sussex workshop from a single piece of solid European oak, carefully chosen for its beautiful grain which may be more knotty and open than timber used in our other boards to provide that rustic feel. 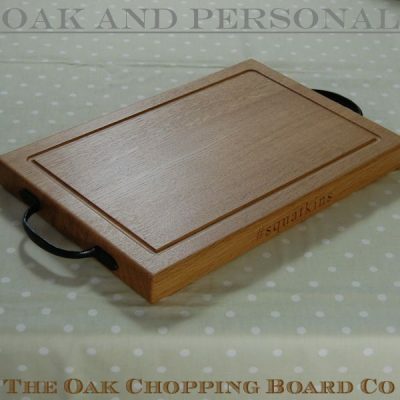 Although specifically designed for serving, The Long Boards may also be used as a chopping board, serving board, preparing fruit & vegetables, or other tasks around the kitchen and dining table. 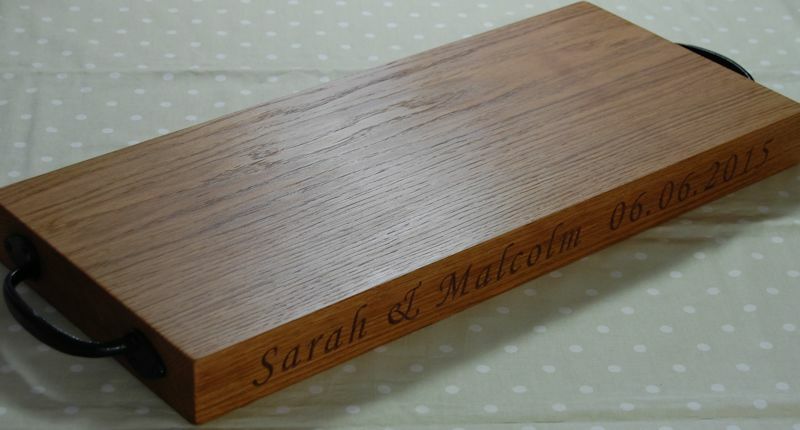 See below for full description and dimensions. 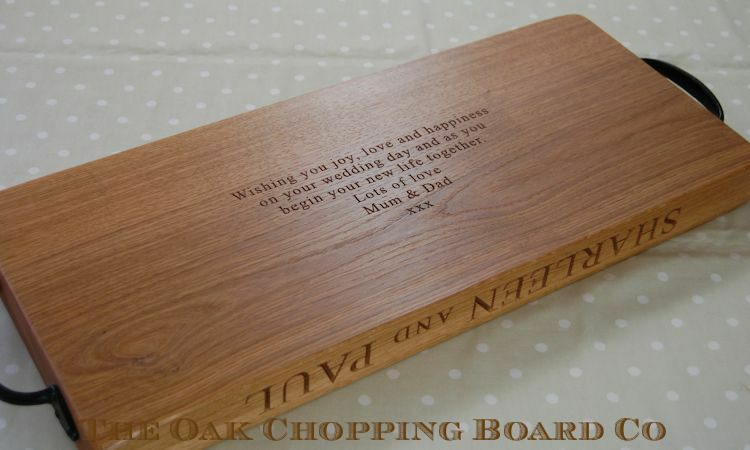 Get ideas for 2D motifs, a personalised cipher or birth/star signs. 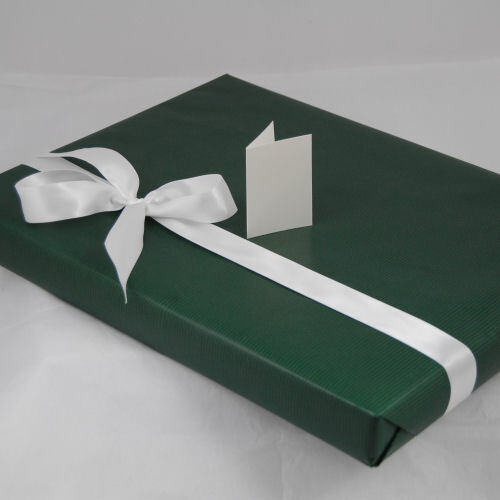 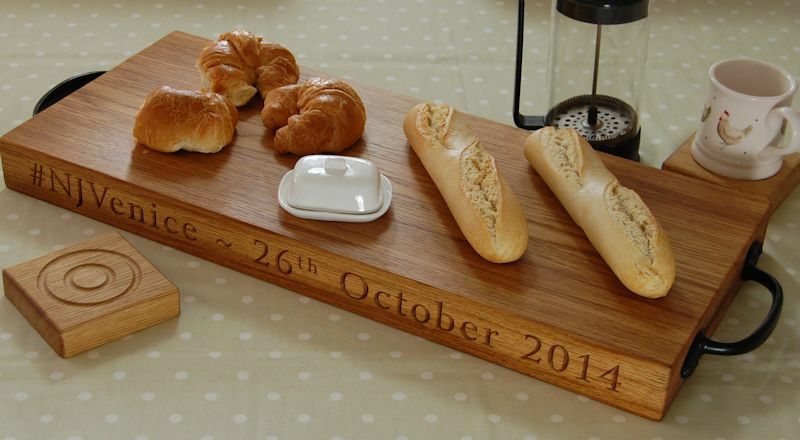 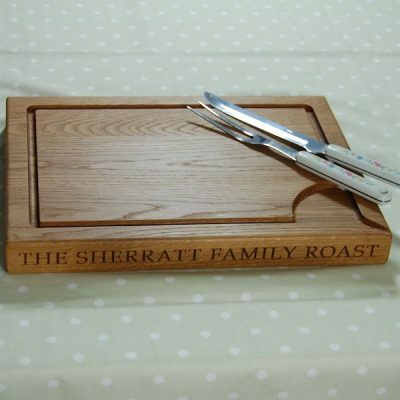 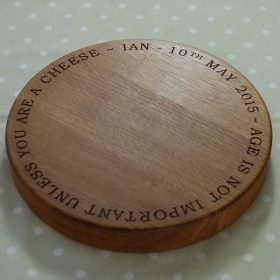 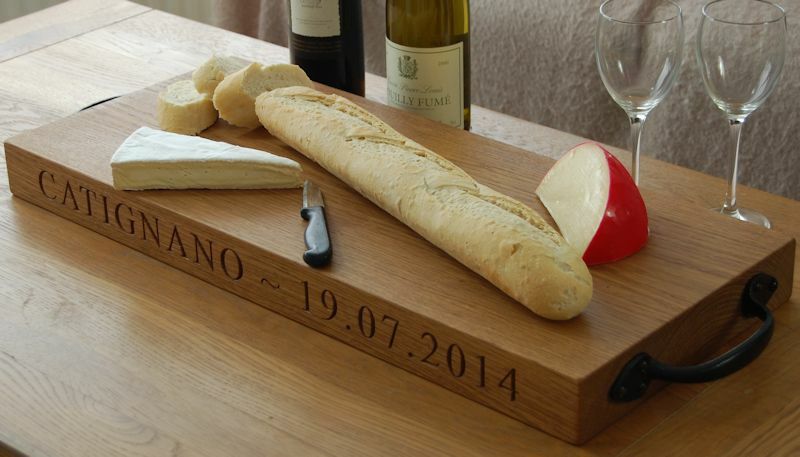 The perfect personalised gift for those who love to entertain. 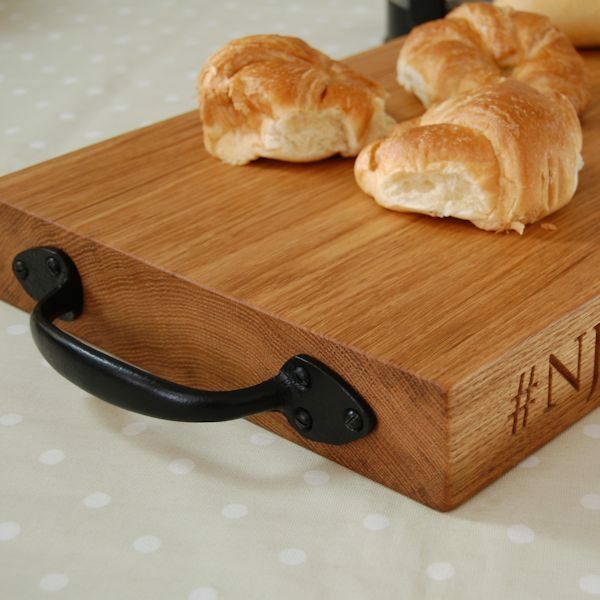 Our rustic serving board provides a hygenic and tactile surface on which to display and serve all your favourite foods, albeit with a rustic twist – guaranteed to impress your guests. 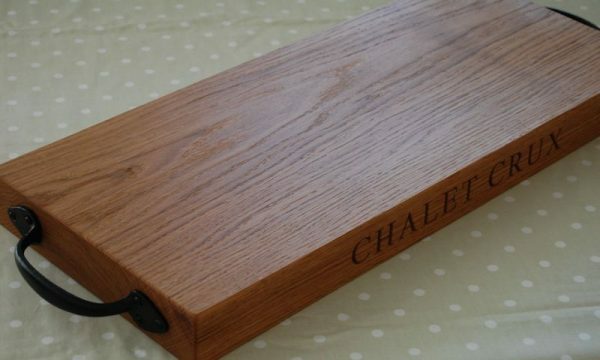 The Long Boards can be used for serving, chopping, preparing fruit and vegetables, and many other tasks around the kitchen and at the dining table. 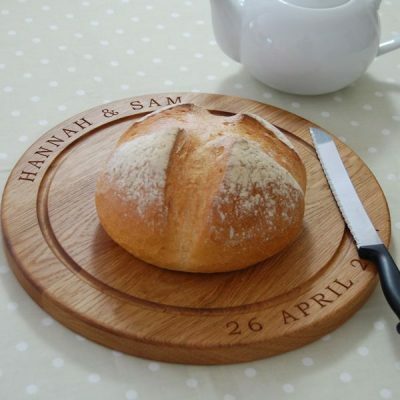 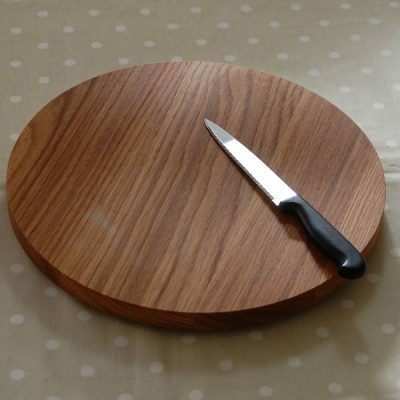 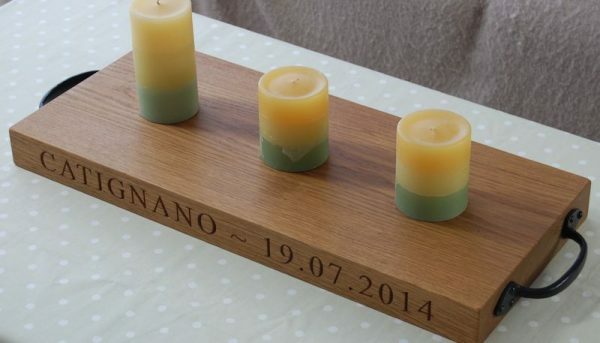 For those who think the rustic serving board is too good to be used for such purposes, the wooden boards may be used simply for displaying items in the home. 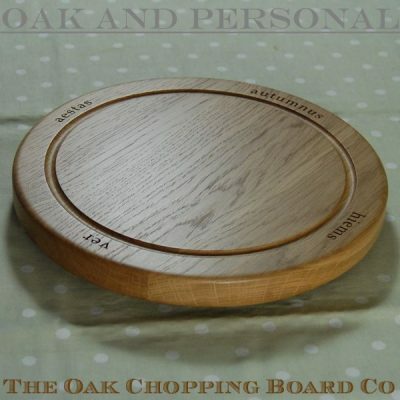 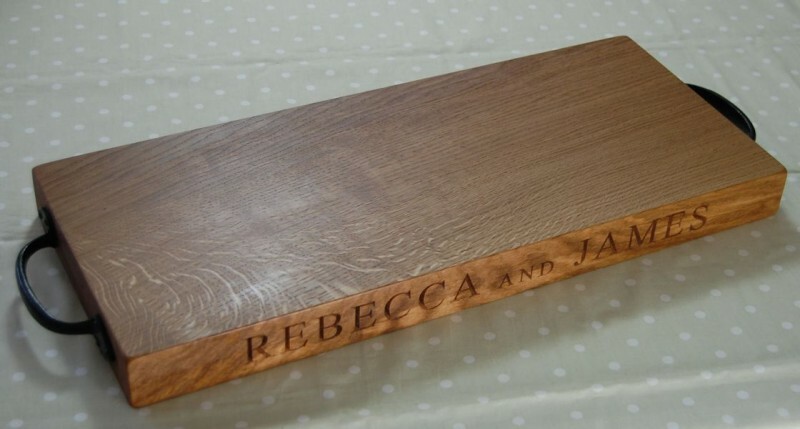 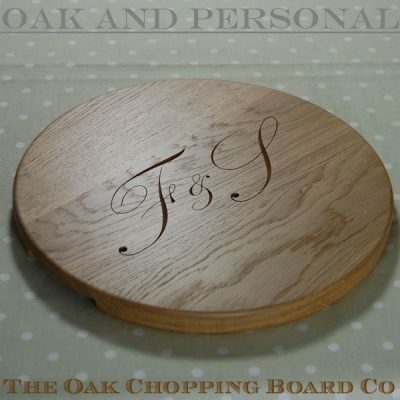 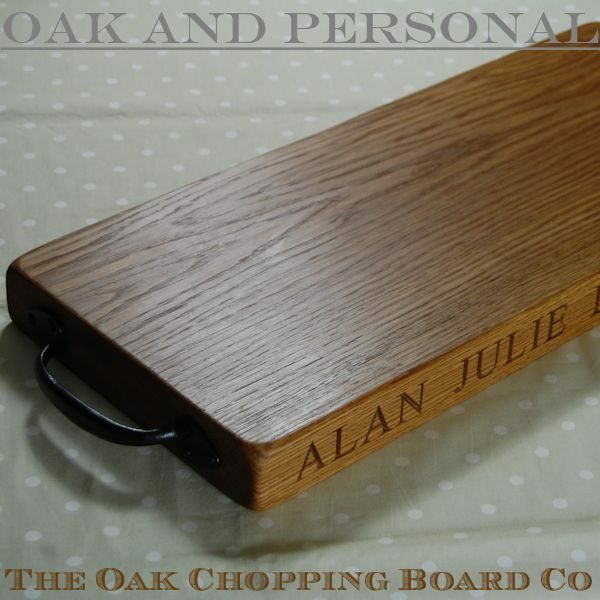 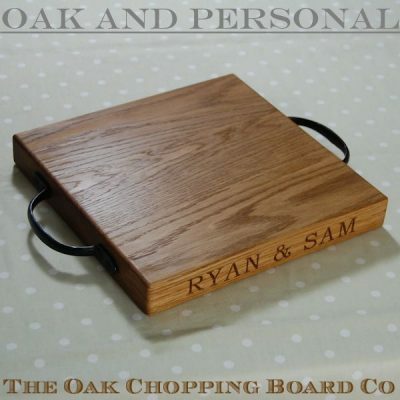 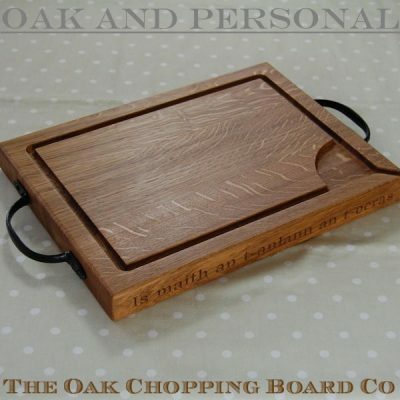 Your beautiful oak serving board will be finished with ultra-fine sandpaper providing a near-polished finish, followed by a comprehensive treatment of a blend of natural oils and waxes before it leaves our workshop. 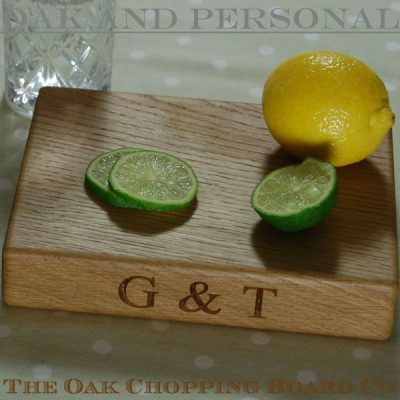 The finish primarily contains food-grade white mineral oil and beeswax, and along with other natural oils and waxes, provides solvent-free, 100% food-safe protection for rustic serving boards. 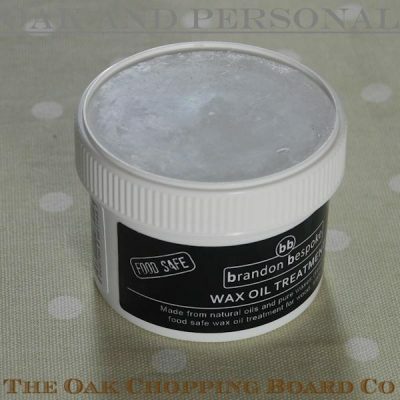 To maintain the beauty and durability of your rustic serving board we recommend it be periodically treated with Brandon Bespoke Wax Oil Treatment.